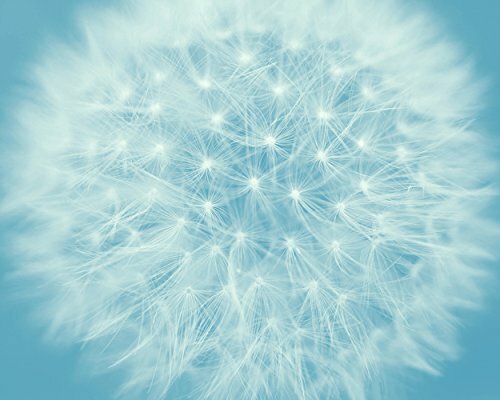 Fine art flower photography: macro of the Dandelion in blue and white colors for your modern home wall art decor, including nursery and baby boy bedroom. Artist Irina Wardas. Please keep in mind that every computer monitor displays colors a bit differently, so what you see on the screen might vary a little bit from the prints you receive. My studio monitors are professionally calibrated, and coordinated with my labs on a weekly basis to ensure the best possible results. If you have any questions about this product by Natural Photography Spa, contact us by completing and submitting the form below. If you are looking for a specif part number, please include it with your message.